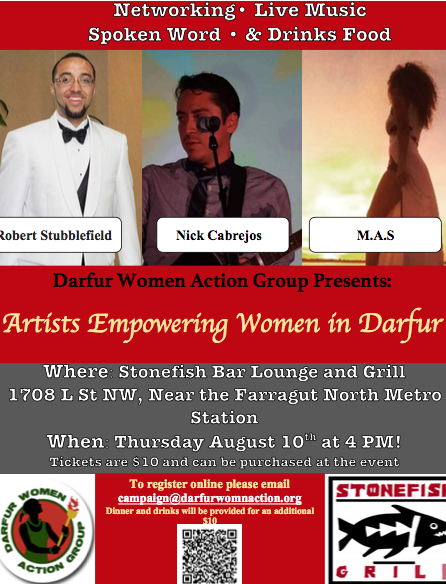 Bring a friend to our Fundraiser for Artists Empowering Women in Darfur and join us for Happy Hour! We have partnered with Stonefish Lounge Bar and Grill and various local artists to bring you a networking event accompanied by live music and spoken word. by Farragut North metro station.